Microneedling is the latest skin treatment technique that improves overall skin tone and texture while preventing premature skin aging. 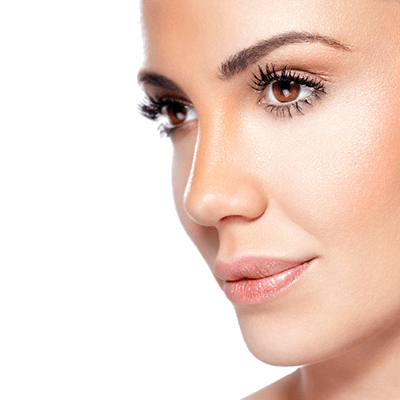 Microneedling involves the use of a hand held device that is “rolled” over the skin creating micro punctures in the skin’s surface targeting the dermis –the deeper layer of skin- to boost collagen and elastin production. This safe, effective and natural skin care treatment is suitable for all skin types. Enhance existing eyebrows or restore thinning eyebrows with Microblading, a safe and effective technique that creates natural looking brows. This form of permanent make-up, also known as eyebrow embroidery or micro-stroking, enhances your existing eyebrows by using a specialized micro-pen with pigment to draw individual hair like strokes in the same direction and length of the existing brow hair to camouflage what is missing, creating a perfectly shaped eyebrow. The results are beautiful, fuller, bolder long lasting eyebrows. HydraFacial is a multi-step skin care treatment that uses a patented technology to cleanse, exfoliate and hydrate the skin. HydraFacial is a non-invasive and non-irritating treatment safe for everyone that delivers immediate and noticeable results in just 30 minutes with no social downtime. HydraFacial addresses all skin care needs and is an excellent choice to improve the appearance of dehydrated skin, fine lines, wrinkles, pores and brown spots. A pleasant, and convenient way of improving your skin’s appearance, Superficial Chemical Peels are sometimes referred to as “lunchtime peels” in reference to their convenience and simplicity. These treatments consist of a combination of alpha hydroxy acids (AHAs) such as glycolic or lactic acid, or beta hydroxy acids (BHAs) such as salicylic acid. These agents are acids that occur naturally in living things, so they are gentle yet effective. Superficial chemical peels transform your skin, softening fine lines and wrinkles, fading dark spots, and diminishing enlarged pores while also treating acne and acne scarring. In most cases, improved skin condition is noticeable immediately after this simple and effective skin care treatment leaving a healthy, youthful glow. Superficial chemical peels can be incorporated with a method of manual exfoliation such as microdermabrasion and dermaplaning. Microdermabrasion is a manual method of exfoliating or removing the outer layers of skin.The outer layer of dull skin cells is gently removed during the procedure, exposing the healthy epidermis skin layer underneath. 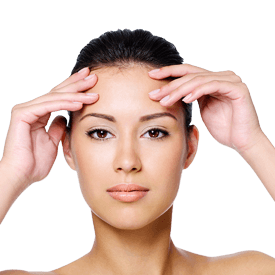 Microdermabrasion is often done in conjunction with a superficial chemical peel or a chemical free mask. To achieve your best results, a series of treatments is recommended. 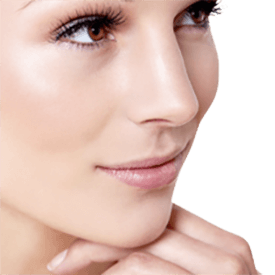 A non-invasive technique of skin resurfacing, Dermaplaning is another manual exfoliation procedure that is suitable for most skin types. This safe and effective, treatment gently removes the outermost layer of skin cells revealing smooth, supple and vibrant skin.